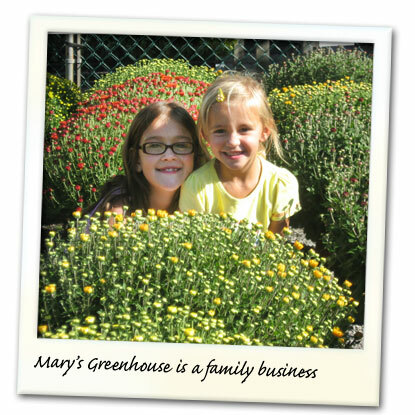 Mary's Greenhouse offers one of the widest varieties of trees and shrubs in the area. You can expect to find quality plants, trees, and shrubs including the newest varieties available and traditional favorites that have proven to do well in our environment. Our reputation depends on your success in the garden, and we are certain you will agree when you see our selection of plants. In addition to quality products, we also take great pride in our outstanding customer service. Our team of West Virginia-Certified Professional Horticulturists are here to help you. And check our Rose bushes below—healthy, beautiful hybrid teas, floribundas, grandifloras, miniature roses and the very popular and very hardy "Knock Out" roses. Together with our partner, Terra Flora Landscaping, we offer a variety of nursery stock. If you need something that you don't see here, don’t hesitate to ask us. We can usually locate the material that you need for your garden or landscape. PDFs showing some of our most popular options are listed below. There is no such thing as deer-proof plants. If the deer population is large enough, and the food is scarce enough, deer have been known to eat almost anything. However, there are some plants that are much less palatable to deer. If you have a problem in your neighborhood, it's probably a good idea to draw heavily from this list of trees and shrubs that are rarely browsed. If you can't live without certain plants that are highly tasteful to deer, you can plant them in an enclosed area to try to minimize the damage. Please ask us about our guarantee for trees & shrubs.